Local Ardmore resident Jennifer Tillison had the idea of opening a listening room in her town, and with the help of local businessman Robert Smartt as well as other local business and music supporters, they made that a reality. The venue is called The Mill Street Garage Listening Room, located at 32 Mill Street NE in Ardmore. The description of it on their Facebook page is “An intimate music venue where the lyric is king and the attentive subjects are treated to the story behind the song. Talking during show is minimal”. The first show was held on Thursday April 20th featuring Kaitlin Butts and Charlie Stout. The sponsors for the first show included Garrett and Janie Moore from The Insurance Place, Bruce and Shana Hammond and Pettit Machinery, and swag bags full of goodies from local businesses were given to each attendee. The “It’s All Good” food truck was on hand before the show as well, each ticket holder received their choice of two free tacos before the show began. The truck served pork tacos with bbq sauce and bok choy slaw and crab and shrimp tacos with remoulade, pineapple and bok choy slaw. I had one of each, and they were both delicious. Patrons were able to eat and socialize outside the venue in a make-shift patio area before the doors opened. The event sold out, and everyone there seemed to be eager and excited for the new venue. The listening room was large and comfortable, and every seat in the house had a great view of the stage. Kaitlin and Charlie put on a fantastic show, and their banter back and forth made it even more entertaining. The show was an 18+ event, which was a good thing since some of the subject matter that the two artists threw around was a bit on the colorful side. Kaitlin even took the time to apologize to her grandparents who were in attendance and made it up to them by playing a Merle Haggard tune. I think they were fine with the exchange. Kaitlin not only has an amazing voice which will give you goosebumps, but her attitude and demeanor are as fiery as her hair. She can make you laugh with her sassy wit as quickly as she can make you cry with her heartfelt songs. Charlie is also talented at making people laugh, and some of his stories take you on bizarre adventures. He has a love of the old west as well as for space exploration, which makes for an interesting combination at times. Charlie’s music is as genuine as it is original. Not only was the music at the show fantastic, but the stories and jokes and conversation from the two musicians equally made the show a success. If you have never been to a listening room, it’s quite a different experience than the average live music venue. Just as the name implies, it is strictly for listening to the music. In a typical live music venue the music may only be background noise to many other things going on, from playing pool to partying with friends. However listening rooms are not the place to have loud and lingering conversations with friends catching up and just hanging out, it’s a place to sit and have an intimate and quiet gathering of music fans to really pay attention and appreciate the musician and their craft. Many times in the listening room atmosphere the musicians will have more of an opportunity for story telling about the songs and general conversation during the show, making it even more personal and unique. It’s created as a music experience for true music lovers, and something every music fan should experience for themselves. The patrons of the first Mill Street Garage Listening room show did a great job of following the “rules” of the listening room atmosphere. If you missed the first show, have no fear, there will be many more great lineups to come. In fact the next show, which will be held on Thursday May 18th, will feature the infamous Mike McClure and the red dirt success himself Bryon White. I have no doubts that those two together will provide a ridiculously amusing and engaging show. Not only because they are both impressive singers and songwriters in their own right, but also because they both lean on the side of being a bit eccentric and quirky which makes for great entertainment. The humor and banter that these two can pull off between songs is going to be something to witness and behold. You won’t want to miss this show. Seating is limited, so make sure you get your tickets quickly before they sell out. 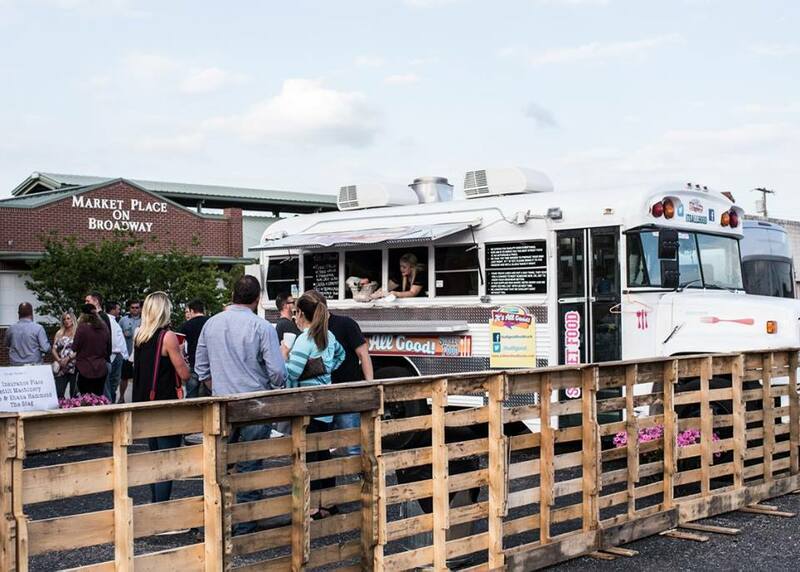 The “It’s All Good” Food Truck will be on hand with free tacos again, starting at 5:30 p.m. The doors to the venue will open at 6:30 p.m. and the show will begin at 7 p.m. The venue has a BYOB rule in place, being limited to beer and wine for alcoholic choices. Tickets will be $20 and are available at Ticketstorm, and it is an 18+ event. You can visit The Mill Street Garage Listening Room’s Facebook and Instagram pages for links to buy tickets and for more information.